It feels as if we’ve been waiting months for the release of Taylor Swift‘s new album Reputation. As of today, the wait is finally over but for those that planned on streaming it, sorry for you. Reputation is currently available for purchase on iTunes or as a hard copy disc. It is also available for free for a limited time on iHeartRadio. Since 12 am Eastern, iHeartRadio has been playing a new track off the album at the top of every hour; it will continue doing so until 8 pm. Reputation is not available to stream for the time being. Swift has long spoken out against streaming services that pay low royalties to artists, which is why she removed her back catalog from Spotify in 2014 and didn’t return it until earlier this year. Swift refusing to cooperate even with subscription-based streaming services that pay artists high royalties and put a premium on their work. It’s a move that few besides Swift could easily pull off. ‘Reputation’ is fundamentally unlike any of her other albums in that it takes into account — prioritizes, actually — the tempo and tone of her competition. ‘Reputation’ is a public renegotiation, engaging pop music on its terms, not hers…She still has adversaries in her sight; there are jabs at Kanye West, and also at an ex-boyfriend or two. But here, too, she turns the magnifying glass around. Some of the most caustic and aware songwriting on this album is about herself. Swift is a smart cookie. She’s smart enough to write lyrics far better and wittier than the average pop fare, inverting the cliche of the love ’em and leave ’em Romeo – “I’ll carve your name on my bedpost,” she snarls – and admitting defeat when her chat-up lines fail with a sigh of “I guess I’ll stumble home to my cats – alone”. And she’s certainly too smart to put all her eggs in one basket…there’s more to Taylor Swift than dropping hints and creating drama. [Jack] Antonoff’s work on this record is essential. His love of Eighties synth-pop is the perfect counterbalance to Max Martin and Shellback’s dance and electronic touch; the album’s structure alternates between the two….One of Swift’s greatest talents as a songwriter is to encapsulate those small moments, often in a new relationship, that you as a listener cannot. There are shades of Robbie Williams’s swagger and melodrama in the way Swift co-opts and confronts a persona the media has created for her. Another (and actually more interesting) strand emerges under the cover of all this ironic bombast, on a series of sensual synth-pop songs questioning whether love can survive in the unrelenting glare of the modern media. The world was expecting ‘Reputation’ to be a celebrity self-pity party, after her September single “Look What You Made Me Do,” airing her grievances about getting mistreated by other famous people…Instead, she’s playing for bigger emotional stakes – this is an album full of one-on-one adult love songs. That’s a daring swerve from a songwriter who’s scored so many brilliant hits about pursuing the next romantic high. Taylor might love the players, but nowhere near as much as she loves the game. 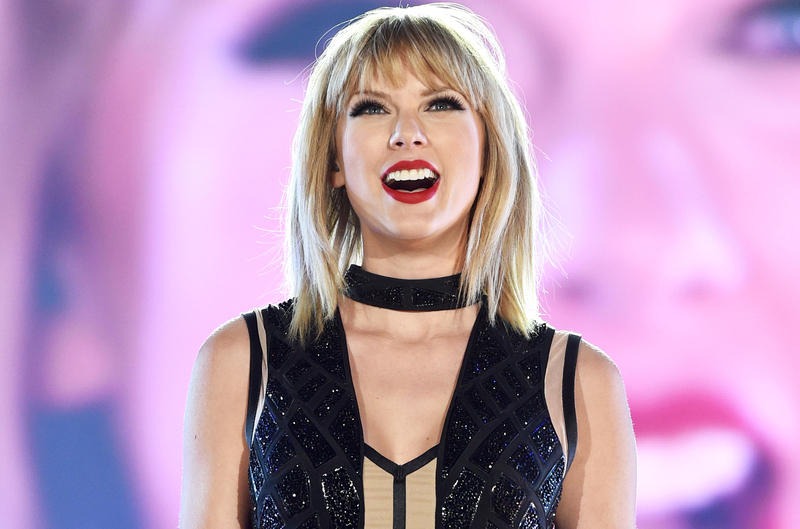 Don’t let the album title fool you — Taylor Swift doesn’t give a damn about her bad reputation…’Reputation’ is largely a look at an artist in love, and not the kind of flash-in-the-pan romance or tragic heartbreak that populated her previous releases. For the first time in her career, Swift has written an album about a successful relationship, while she’s still in it, finally sharing the story of the new relationship that she’s so fiercely kept away from the cameras.